Gene & Lori White wrote & recorded the popular jingle in 1994. It was used on radio & TV for for over ten years until Wheeler's RV was sold in 2005. PEPPER-TANNER - On assignment in the late 1960's Gene wrote a number of jingles and commercials. SCHMITT, HALL & McCREARY - Published a Stage Band Series of Original Songs composed by Gene White in the 1970's. 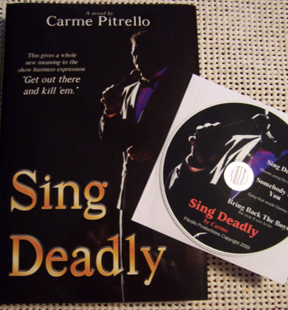 Our friend & client Carme wrote a novel called "Sing Deadly", a story about a famous singer who became a hit man for the mob. We collaborated with Carme who had written the lyrics to the song "Sing Deadly" which he wanted to accommodate his book. Carme gave the lyrics to Lori White and she created the music for the tune. 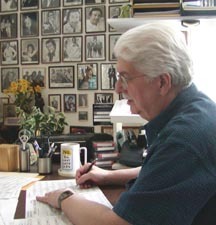 Gene then wrote the exciting Big Band arrangement. Here's an excerpt of the song. featuring Lori White with Gene White's Band. Featuring Gene White's Big Band & vocal group Fifth Avenue during a live radio broadcast in 1983. 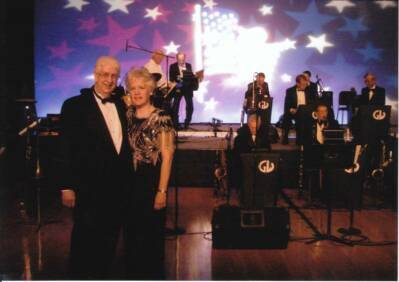 Nevada Eye Care Professionals, Las Vegas: Gene & Lori White wrote and produced commercials that were aired on “Swing Street” their “live” radio show from the Rio Hotel & Casino and broadcast on KORK Radio in 1994-1995.